Many topics and subjects have crossed my mind in regards to starting a new project over the recent weeks. One in particular is learning how to weld. 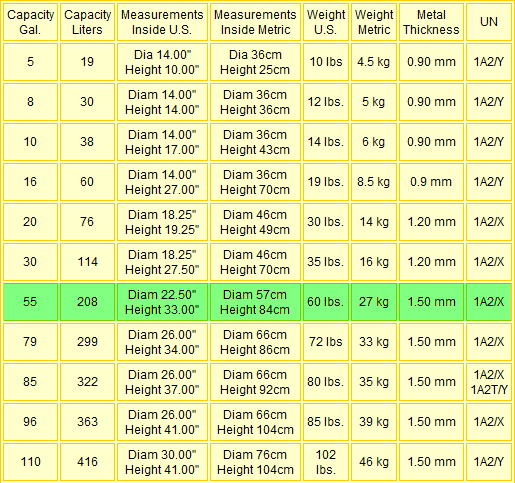 I did some research (not extensive) about welding and MIG or TIG Welding appear ideal for relatively thin metals. In addition I stumbled upon a post or ad on CraigsList.org that was selling 55ga (open head seamless) drums for $15 a piece. As you can tell by the photo above I purchased four drums. In addition I did some research on drum smokers and barrel grills and ended up purchasing a 4-1/2″ 6amp angle grinder which I will be using to cut these. I’ve been drawing up designs, making adjustments, designing the charcoal baskets and working on a wok concept. Since I don’t have any welding skills or welding equipment my designs are completely nuts and bolt based. 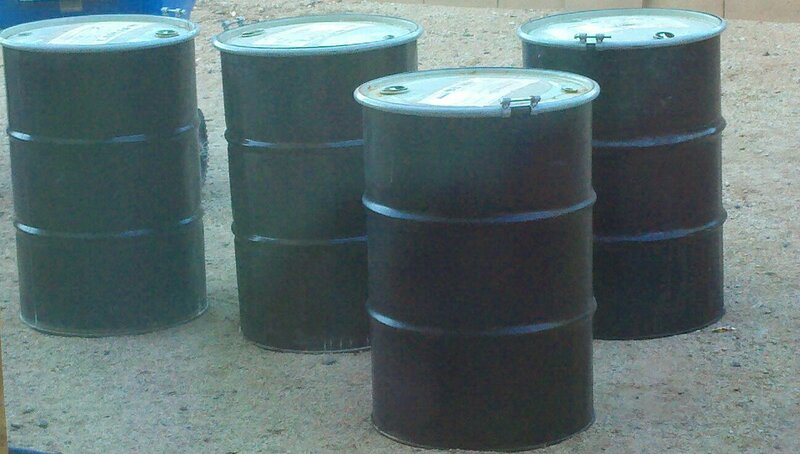 A few of my ideas will require trips to the scrap yard but I will refrain from cutting up the barrels until I am completely confident in my concept which includes a frame with locking casters. Hopefully in the weeks to come I will write posts on my progress followed up with a complete start to finish summation. I called around to get pricing on sandblasting and most charge by total area. 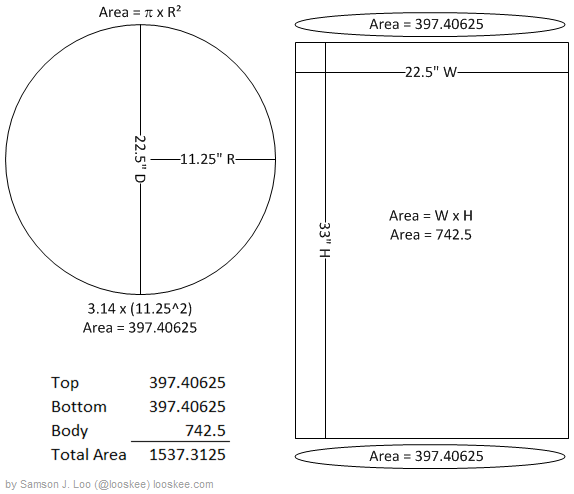 So here is my quick calc of what a 55ga Drum that is 22.5″ by 33″.